That technology do you use to manage your buy to let property portfolio? Be honest. Have you at least graduated from tedious manual systems to word processing and spreadsheet packages? The next step is to consider an integrated tenancy management software package that suits the type of property rental business that you run. Why should you do this? Tenant management software is really simple, it will save you time and it will save you money. Pour yourself a coffee and take some time out of your business day to think carefully about the type of business you are running and what you need and want from a tenancy management property software package. No two property businesses are the same and this is an important first step. Make a list of essentials and then make a wish list. Also look out for a product that has been positively reviewed by experienced and independent people and organisations. If you can, find a tenant and rent management product that has been designed by or have taken inputs from a professional landlord. 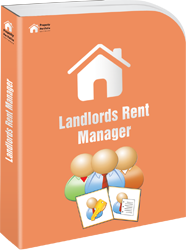 They know, of course, what you will need from a property landlord software package. After bricks and mortar, cash and time, are without doubt your two most precious assets. Your property is a great asset and to maintain it is not that easy. In order to take control of your cash flow from your property and get timely payments from tenants, tenant rent management software becomes indispensable. The key to prosperity and profit is to put the right tenants in the right properties and to keep the rental income rolling in, whilst controlling and managing the money going out. Look for a product that will help you to manage and control your portfolio equity and yield. Also look out for a product with a system that is efficient and comprehensive. This will enable you to analyse the performance of your entire property portfolio. A Tenant management software package with these qualities will help you to monitor and control areas of business such as outstanding rents and current equity and rental yield. Visual aids can be a great help too. Look for a product with a portfolio income assessment tool that will let you produce graphs or pie charts. This will enable you to see at a glance how much income each property is generating for you. Look out for tools that will let you generate graphs showing the amount of equity and outstanding loans for each of your properties. Choose carefully though as choosing the wrong landlord property product for your size or style of business will be a fatal move on your economy. Do think carefully and do your research. Look for qualities in a product that can and will save you time, save you money and give you information about individual properties and tenants as well as the bigger picture. With this information to hand you will know what you need to know to manage and grow your property empire. You will also be one step ahead of your competitors. Your tenant management can be made more effective and simpler! I purchased it towards the end of 2010 and after the laborious task of entering all the necessary property and tenant details I now rely on the software as the hub of my business.